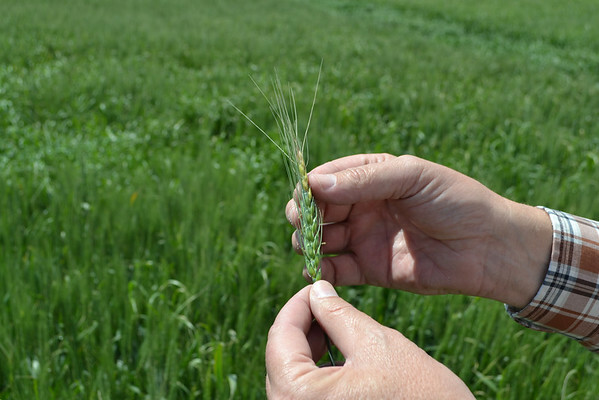 The OSU Agriculture Extension Office hosted a Wheat Field Day to go over various types of the crop and what cold and dry weather has done to the Oklahoma wheat crops with area farmers at Shawnee Feed in Minco on Tuesday. For the Grady County area, damage to wheat crops is mostly restricted to just a little discoloration at the top. Agronomists say only five percent of area crops suffered damage, while cold and drier weather in the southwestern area of the state, close to the Red River, has led to more loss.